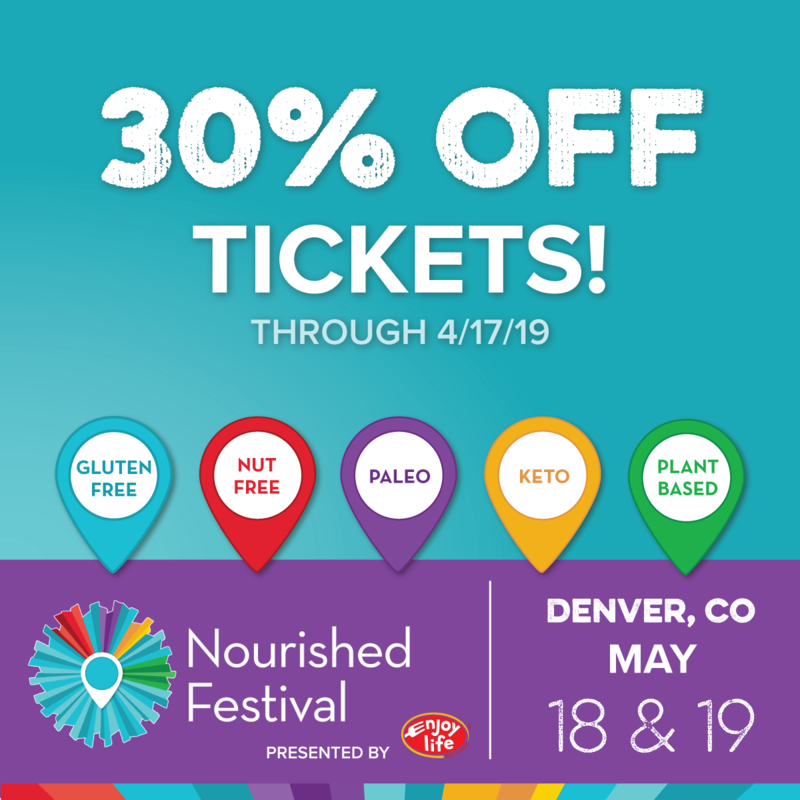 I’m headed to the Nourished Festival 2019! 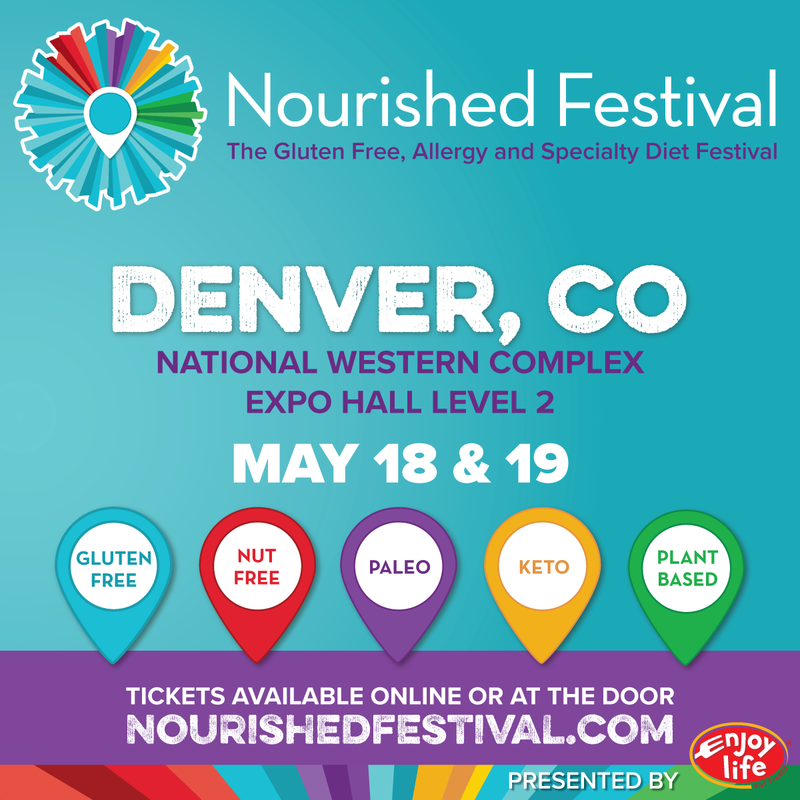 I’m so excited to be invited to be an official press blogger for the largest gluten free expo in the country again this year, The Nourished Festival! And you should be too because you’re about to have the chance to win some amazing giveaways over the next month! This will be my second year attending and let me tell you, if you haven’t been to one of these, you’re missing out! 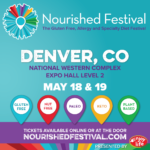 The Nourished Festival hosts 9 expos across the country including Denver, where I will be attending. As a Paleo(ish) and strictly gluten free blogger, I’m super excited to get to meet with companies that specialize in the types of foods my family eats. It’s amazing to see new companies develop products specifically for those of us with food allergies and sensitivities. I remember a time not so long ago where there was very little for the gluten-free consumer. It’ll be a great time to connect with those vendors who specialize in gluten free and allergy friendly products, the same products I use everyday to bring you the recipes on this blog! I hope to see some of you wonderful readers there too if you happen to live around the Front Range! Keep reading below for information on this awesome event and your chance to win free tickets! You can also follow me on Instagram for additional chances to win! 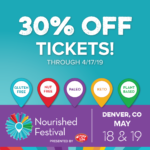 Win tickets to the Nourished Festival! 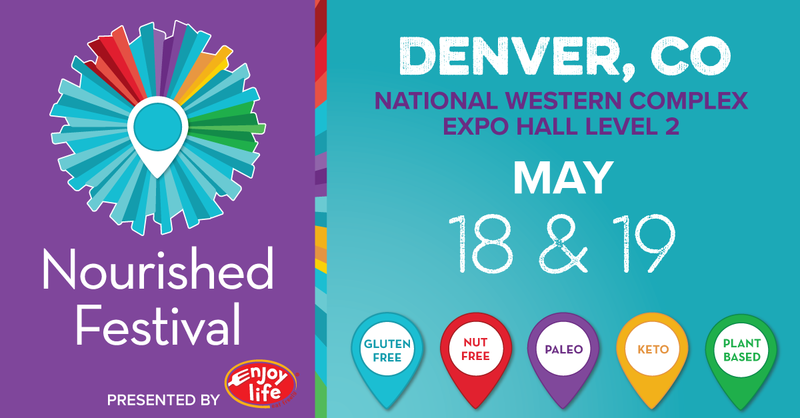 If you’d like to sample hundreds of allergy-friendly products, connect with companies that specialize in the gluten-free and allergy friendly market, and attend classes on topics such as healing your gut inflammation or learning how to cook gluten free, then this is the event for you. Plus you’re guaranteed to come away with TONS of freebies plus have the opportunity to purchase your favorite products at a discount! Tickets start at $15 but BONUS! Use the code EARLYBIRD to get 30% off your tickets if you purchase before April 17th. That makes them only $10.50! You’ll definitely get your money’s worth in free products alone! Make sure you stop by the bloggers booth to say hi! I’d love to meet ya’ll! How do I get tickets? I’m so glad you asked! Click this link to purchase tickets online. Don’t forget to use the 30% off code: EARLYBIRD if you purchase before April 17th! You’ll also receive 20% off from April 18-May 17th with the code ADVANCE. More info can be found at NourishedFestival.com! Thanks for posting this … I do hope to attend! Look forward to meeting you there, and enjoyed your site so far. SO FUN! You’re going to have a blast 🙂 I’m excited for the new changes coming with the rebranding of this expo. I have loved attending the past two years. Hoping I can make it to the Dallas event again this year.